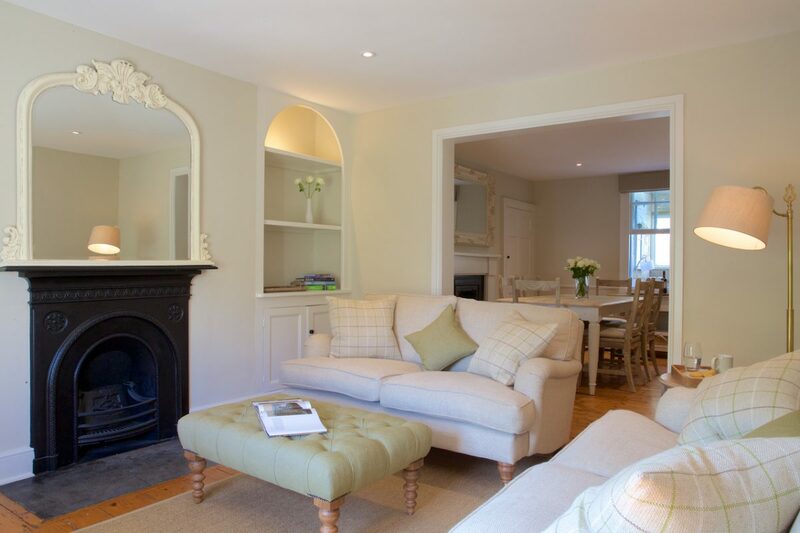 Sleeps: 7	Bedrooms: 4	Children: We are family friendly	Pets: Not permitted	Onsite Parking: Complimentary Parking Permit, one parking place on the drive and free parking 5 minutes walk away. Guests receive a very warm welcome to start their boutique break away in this beautiful 1810 Georgian townhouse. 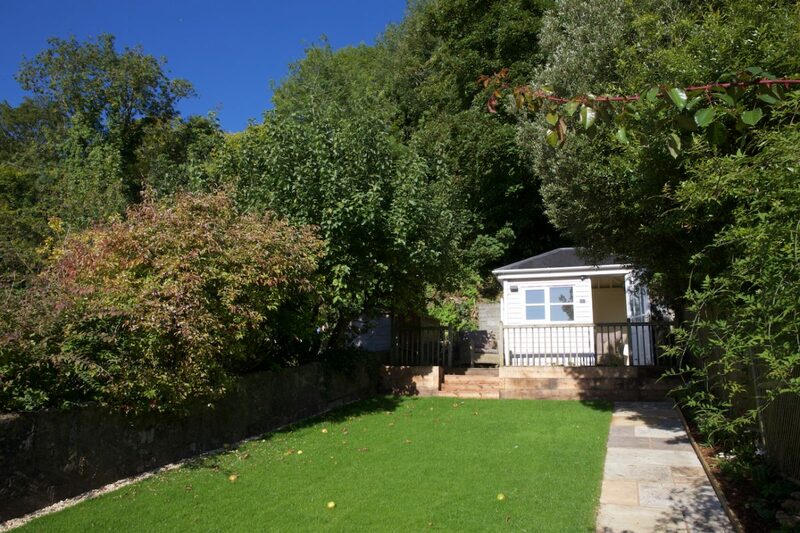 The house is located in a quiet historic area of central Bath, with a seated terraced garden for sundowners, Summer house for some quiet moments, deck chairs and beautiful views over the city towards Prior Park National Trust. 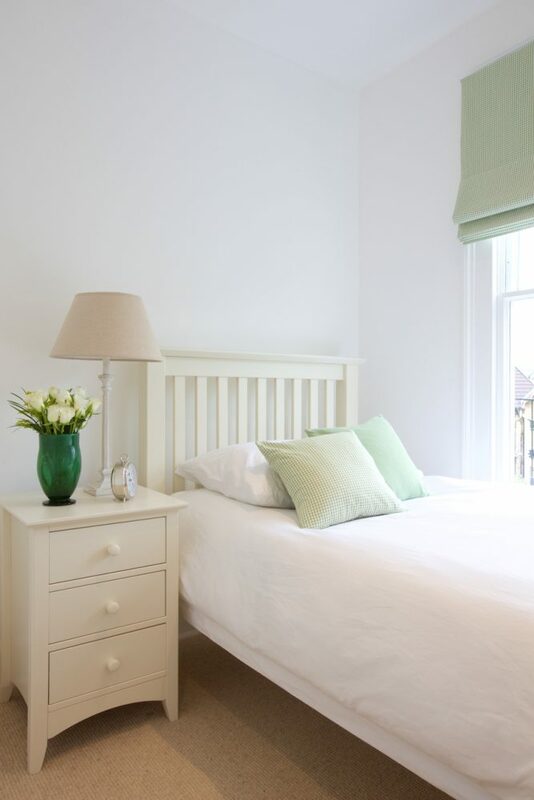 Within walking distance of The Royal Circus, The Royal Crescent, The Assembly Rooms, Fashion Museum and the main shopping restuarant area your ideally located for a fantastic holiday exploring Georgian Bath. Regular public transport close by so no need to drive in central Bath. Complimentary parking permit. Concierge service and many more lovely touches to make your stay extra special! Click on a date to make a booking enquiry. Tick here to use our Referral Service. If the property you enquire about is not available, our members with suitable availability will contact you by email. You consent to Bath Self Catering retaining your email address in order to process your enquiry and for us to send your email address to relevant members. Welcome to Seventeen The Town House a boutique Georgian Town House built circa 1810. 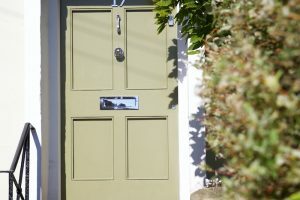 Enter Number 17 through wrought iron gates off Camden road and follow the stone path through the front garden towards the steps to make your way through the main entrance door. You are welcomed by a long hallway with a traditional wood & tiled floor. There is plenty of space in the hall to hang your coat and store your shoes. An original spindle staircase leads guests to the first and lower ground floor. Walk through the hallway and you’ll find yourself in the living and dining area which seats seven guests around a large dining table. The living room is furnished with comfortable sofas, floor cushions and a footstool. There is a wall mounted wide flat screen TV with BT Vision, NETFLIX, BBC iplayer & ITV Hub, Sonos bar sound, DVD player & Roberts bluetooth CD/Radio. The sitting and dining rooms are inter-connecting and have exposed wooden floors, two original fireplaces and hand-crafted timber cupboards complete with a large choice of board games and puzzles for little ones. 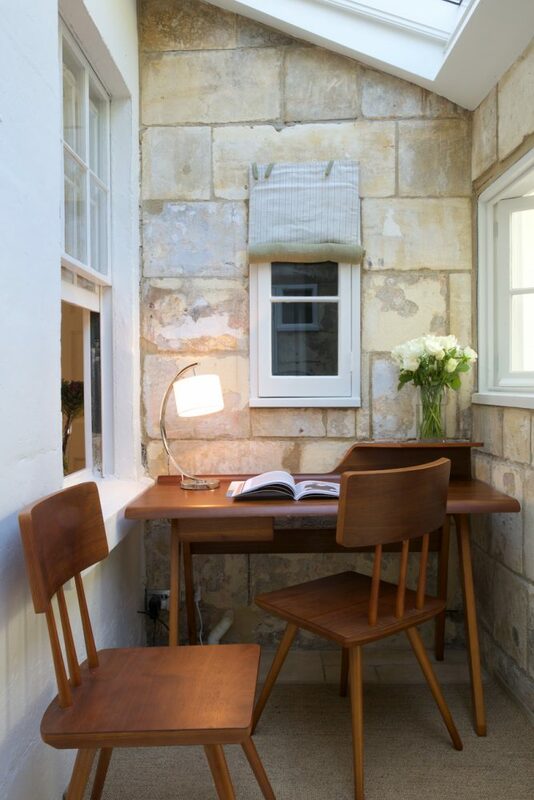 Walk out of the dining room turning left and you will find yourself in a cleverly arranged space for the study annex, a quiet place to read or plan your stay in Bath. There is a downstairs WC cloakroom to save you walking up or downstairs to the other bathrooms. 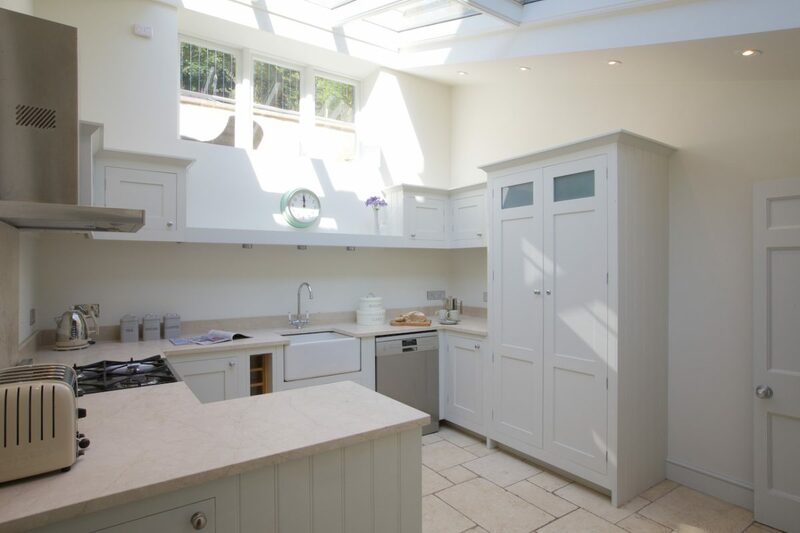 The kitchen is close by and is a stunning room basking in natural light from the skylight ceiling. The kitchen has been equipped to a high standard with bespoke storage cupboards, a house keepers cupboard & drawer units with marble work surfaces, Belfast sink and space for all the usual kitchen appliances. To keep your toes warm on the stone floor there is under floor heating. The kitchen has a range of new features, a SMEG electric double oven with gas hob, Bosch dishwasher & microwave, Dualit kettle & toaster, Breville panini maker, Pizza stone, Kitchen Aid, Kenwood Blender, Ninja juicer, Nespresso Coffee machine, large selection of pots, pans, serving dishes, storage containers, cooking utensils, cutlery & glass ware. 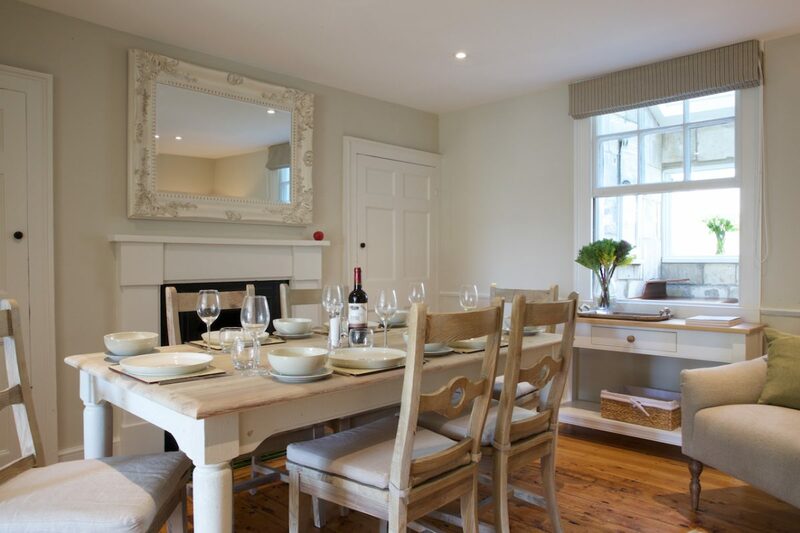 We provide Denby linen china for dining for seven guests – everything you need should be there if its not let us know! 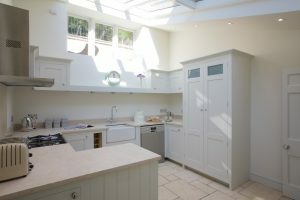 Leading off the kitchen is a laundry/utility room which houses a new fridge freezer, AEG washer dryer, Brabantia ironing board & iron, laundry basket and clothes airer. From the annex you can walk through the back door & take the stone steps up towards the garden where you will find the peace and quiet of the verandah. The verandah provides sheltered outdoor seating and dining for eight. 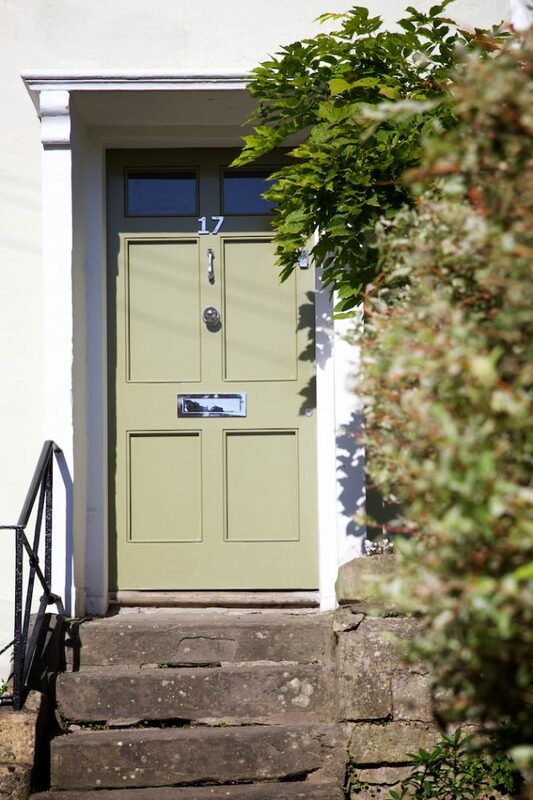 Walk on up the steps through a wrought iron gate & you will find a peaceful garden with pretty shrubs, trees, lavender & landscaped lawn to lay your rug out and enjoy the views across Bath. At the end of lawn there is a beautiful summer house on raised timber decking. Take a seat in our wonderful wicker chairs, relax & soak up stunning views over the Bath valley. The summer house has comfortable wicker seating and is a peaceful place to read & enjoy the hills beyond. Moving back into the house on the first floor, there are two super king size bedrooms. They have period fireplaces and wardrobe style cupboards & shelving, one having an outlook to the front and one with a view over the rear garden. Bedroom One has a super king sized bed and bedroom two can be either a super king bed or two super singles. There is a further single bedroom facing to the front with a tallboy and side table for storage. 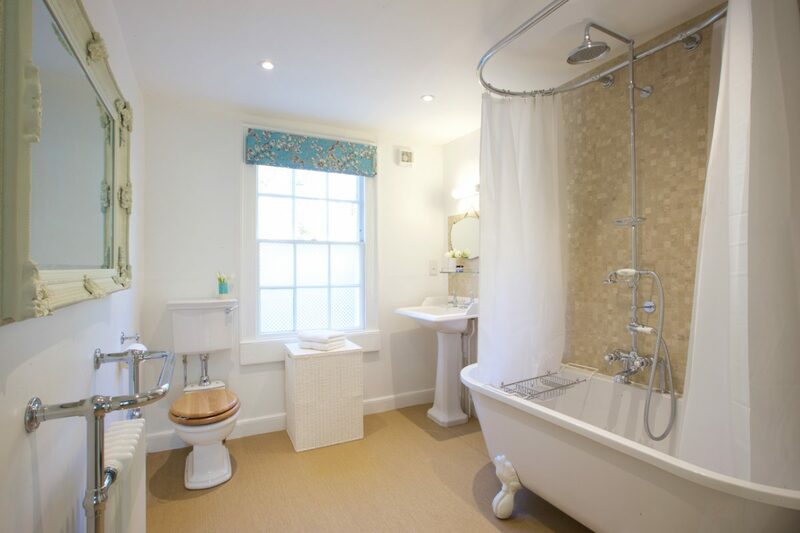 The first floor bathroom has a lovely view from its sash window to the back garden & summerhouse. The bathroom has a roll top bath with a fixed rain shower and oval shower curtain over the bath. There is a small walk in airing cupboard for drying or storage of travel cases. 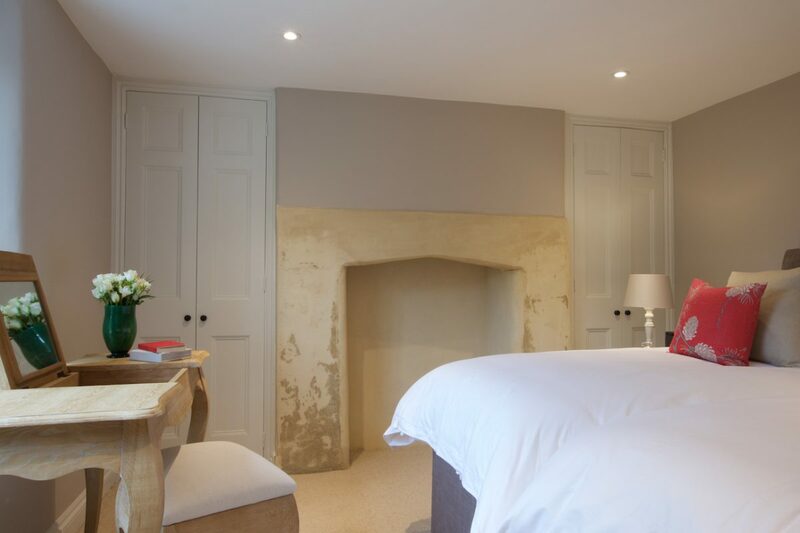 Walking back down the staircase, the lower ground floor bedroom offers super king size or super single twin beds. 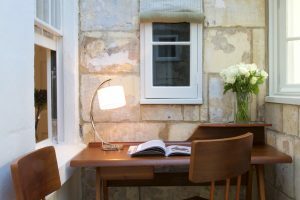 There is a large sash window seat facing the front of the house & two wardrobe style cupboards with hanging & shelving space. Along the corridor on the lower ground floor is the rain shower room with a stone ceiling, under floor heating, heated towel rail, WC & sink. 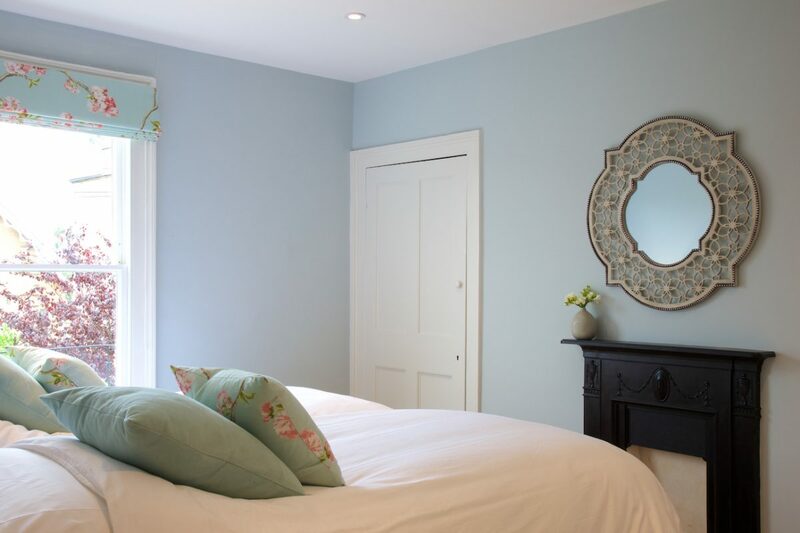 All the bedrooms have traditional sash windows and are furnished with pretty side tables & lamps, Sonos speakers, hairdryers, black out roman blinds, radiators, good sized beds, comfortable bedding and new mattresses. There are digital safes in the three kingsize bedrooms. Do note that the ceilings in this house will accommodate guests less than 6ft 3′. Outside the front landscaped garden is laid to gravel with a stone pathway leading to the front door. There is a large bin store. We are able to offer guests complimentary holiday house parking permit if they have a car. Alternatively Bath Spa train & bus station are a short taxi ride or 20 minute walk from the house. Taxis are easy to book and buses are frequent to and from the city centre from the nearby bus stop. We can also organise Private drivers for any size group from any UK international airports. 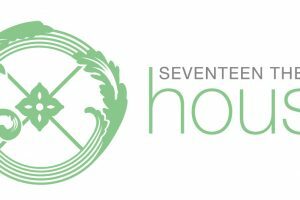 We looking forward to welcoming you at Seventeen The Town House for a very special stay! 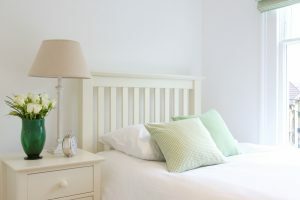 Sleeps: 7 Guests Travel cot with luxury mattress available. High Chair If small children are staying and they prefer not to sleep in a bed we have one Aerobed they can sleep on. We can provide the linen. Bathrooms: First Floor Rainshower and Bathroom with roll top bath, WC, Vanity. Hot Water available all the time. Heating on a timer with booster option if needed. Kitchen: Fully equipped kitchen with all the modern appliances: Dishwasher, Microwave, Dualit Toaster, Kitchen Aid Mixer, Ninja Juicer, Nespresso Machine, Panini Maker, SMEG Appliances. Parking: We have parking permits please enquire when you make your enquiry. Public transport is close by Private drivers can be organised for groups travelling from any UK airport to Bath. Smoking: This is a NON SMOKING house throughout the house and garden. Children: We are very family friendly. We have lots of kids plates, cups, cutlery, high chair, travel cot. There is a large cupboard in the house full of great board games for all ages. Pets: No pets or visiting pets permitted. Monthly stays start from GBP2500 per month with conditions to be provided on booking request for a month. Welcome packs for all our guests with some local goodies. All luxury 600TC White Linen, fluffy white towels & utilities are included with no hidden housekeeping costs or booking fees. We do love to know if your celebrating a special occasion with family or friends. Our boutique stays all include welcome hampers with some local goodies. All luxury 600TC White Linen, fluffy white towels & utilities are included with no hidden housekeeping costs or booking/service fees. We do love to know if guests are celebrating a special occasion with family or friends. Please enquire about any offers, we always have something special to offer our guests.